Freya earrings , The goddess of love . 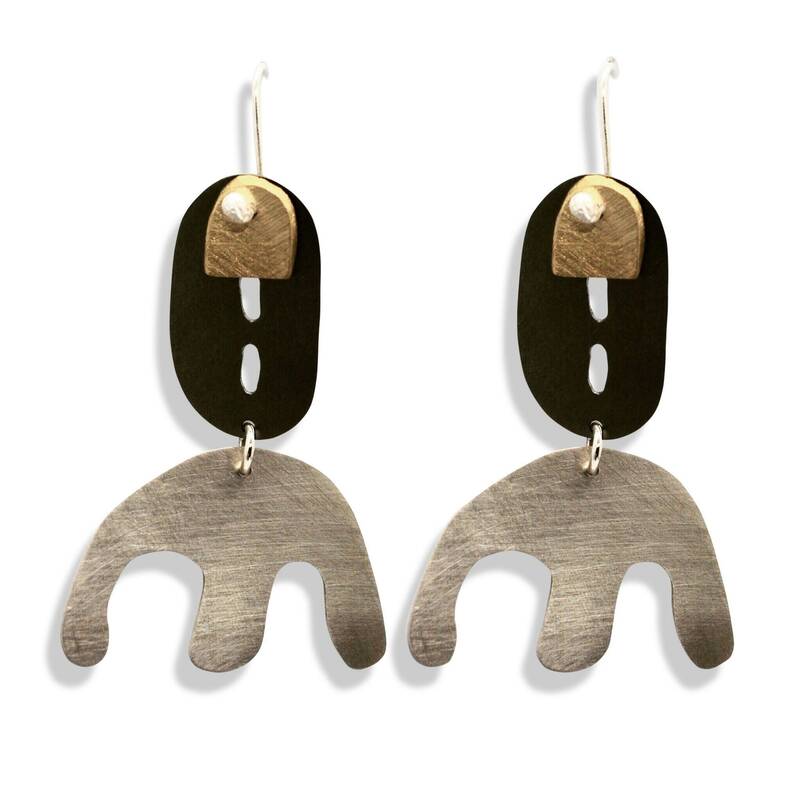 These earrings were beautifully handcrafted using recycled Silver,brass and a demolished kitchen sink and upcycled into these contemporary earrings . Measurements- 6 cm from the ear piercing to the end of earring. Width 3.5 cm at its widest. Please note the picture shows the middle part of the earrings as very dark but it’s more grey in colour.